Last updated December 24th, 2018. Cambodia’s economy will prosper over the next several years as GDP growth continues rising in the high 6% range annually. Low labor costs compared to its competitors, increasing foreign investment, along with falling crude oil prices will contribute to Cambodia’s success story, says the Asian Development Bank (ADB). 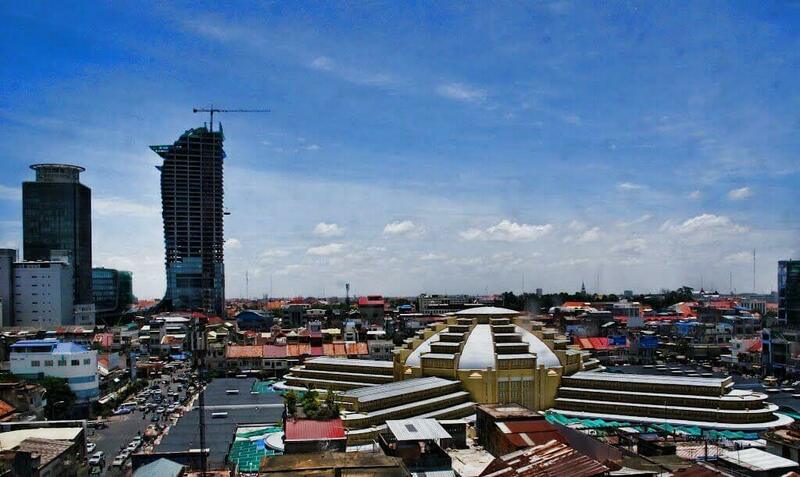 The “Asian Development Outlook” report predicted Cambodia’s GDP will achieve 7.0% in 2019 and the same number in 2020. Compare that to “only” 6.9% in 2017. Basic sectors like tourism, agriculture, textiles, and infrastructure projects keep propelling the Cambodia economy. However, the nation is becoming more adept in all these industries and will continue moving up the value chain, says the report. 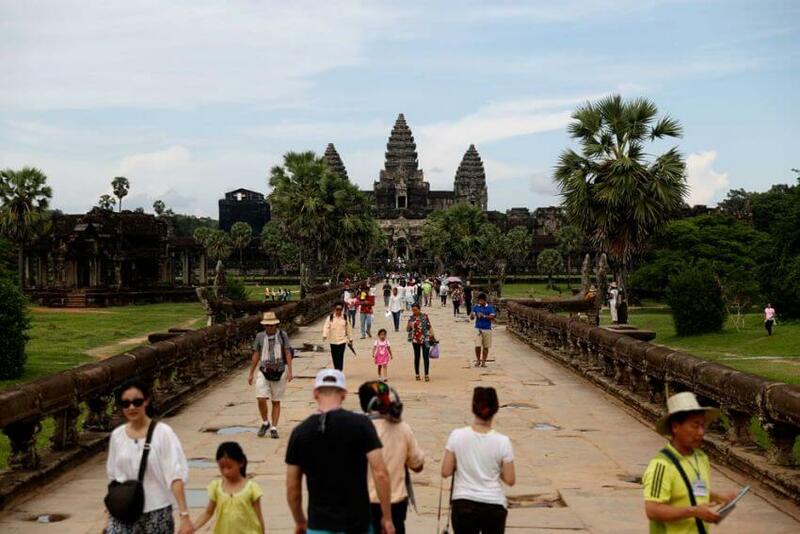 “Cambodia’s economy continues to expand at a robust pace, increasingly propelled by strong export growth, robust tourist arrivals, buoyant domestic demand, along with an expansionary fiscal policy,” said Sunniya Durrani-Jamal, Country Director for Cambodia at the ADB. Cambodia enjoys something that few other frontier market economies do: a tourism sector. Over 2.5 million people visit Angkor Wat each year. The textile sector is among the most important parts of Cambodia’s economy. According to the ADB, nearly three fourths of the nation’s total exports are propelled by this industry. Cambodia’s agricultural sector, another large contributor to its economy, suffered back in 2014 because of damage caused during a long period of flooding and drought. It’s long since recovered though. Cambodia agriculture grew by 9.2% as demand from Chinese buyers increased – likely due to the trade war with the United States. Property, trading, and tourism sectors accounted for most of the growth in Cambodia’s service industry last year. Meanwhile, tourist arrival numbers grew more than 10% to reach six million visitors in 2018. The ADB’s report said Cambodia should take measures to ensure tourists spend money locally instead of giving it to foreign hotels and airlines. Cambodia’s inflation rate declined to 2.4% during the first half of 2018, significantly lower than 3.6% rate recorded in 2017. A modest change in the price of food is the main cause for Cambodia’s falling inflation. Yet the ADB expects inflation will pick up slightly in 2019. Furthermore, it’s now easier than ever for small and medium businesses to receive credit. The total value of outstanding bank loans in Cambodia, as well as the nation’s money supply, grew substantially between 2014 and 2018. The report warned that more credit, combined with increasing dollarization, may heighten risk in Cambodia’s economy – especially within their burgeoning financial sector. Better regulations and oversight are needed in some industries. Generally speaking, there’s a rather positive tone for the Cambodia economy. But the country must start diversifying its industry and exports, making a transition from a frontier market to an emerging market. “Rapidly rising wages without increased productivity could pose a major domestic risk, eroding Cambodia’s external competitiveness, which still relies on cheap labor,” according to Sunniya. The ADB report showed a greater number of small items, such as car wire and electronic parts, are now manufactured in Cambodia. While the ADB noted this activity is done on too small of a scale to noticeably impact economic growth, they also believe higher value industries should eventually thrive and diversify if given enough time. Cambodia’s economy is one of Asia’s strongest and will probably remain so for awhile. Yet the nation must diversify outside of agriculture, tourism, and low priced goods. They’re making excellent progress toward this goal and should achieve it within the medium to long term.